It’s already been said a thousand times, but it bears repeating: This has been a General Assembly session like no other. It began on a somber and shocking note — Senate President Thomas V. Mike Miller Jr.’s disclosure that he was undergoing chemotherapy for Stage 4 Prostate Cancer. It ended on an even more somber and shocking note — the death of House Speaker Michael E. Busch (D-Anne Arundel) on Sunday, the day before Sine Die. How to square the need for the sobriety and perspective these trying moments require with the snark that usually accompanies our annual roundup of session winners and losers? The truth is, we thought about scotching the feature. But we’ve decided to press on because, well, that’s what we do. We’re here to shed some light on the session and the players who mattered most. And we could all stand a little levity about now. These features are always a bit like starting a barroom argument. We expect and look forward to a little pushback. We don’t think Busch and Miller belong anyplace on this list. They are legendary figures who have made an incalculable impact on the state and the legislative bodies they have led for so long. The genuine and wrenching sorrow of Busch’s colleagues, who so clearly loved him, says more than we ever could. The outpouring of affection and admiration Miller received at the annual Senates Past dinner, including from one William Jefferson Clinton, is impossible to duplicate. We have weighed in at times about the state of the Democratic Establishment in Maryland, and the role Miller and Busch have played in it. And surely there will be more to be said about it soon. But not here and not today. Likewise, we don’t believe any of Busch or Miller’s staffers belong on this list just now. Not because they didn’t have a tremendous impact on this session — because they did. And ordinarily, we might be inclined to weigh in on their performance, too. But they deserve better, at this particular point in time, than a few of our pithy remarks. Let’s just say that Busch’s chief of staff, Alexandra M. Hughes, and Yaakov “Jake” Weissmann, Miller’s chief, along with their top lieutenants, performed bravely and admirably this session under the worst of circumstances. Frankly, we’re not even sure how Hughes & Co. kept it together in the past couple of weeks of session — let alone on that final wrenching day. So kudos to them all — and here’s to better times. Plenty of other people, players and institutions merited inclusion on this list — winners, losers and those in between. But we needed to be merciful — to our readers and ourselves — and cut this off at some point. So, on with the list. Jones has been Busch’s understudy in the House for 16 years and has always performed well. But she elevated her profile and stature in the final two weeks of this year’s session — first with her effective management of the House floor during its busiest period (working closely with Hughes), then with her personal, emotional and ever so human tributes to Busch on Sine Die. She is now a legit contender to replace Busch as speaker. Brewer. Patriot. Well, he’s not a brewer, but he is a patriot, having deployed recently to Afghanistan to do Naval intelligence work for eight months. And he did have a predeployment farewell in a brew pub in his district after running a series of public forums last fall in another brew pub in his district. But even before he was deployed, he put together an impressive list of legislative wins, including bills on family law, criminal justice reform and gender-neutral driver’s licenses for nonconforming individuals. And while one high-profile bill, which would have created a legal aid-in-dying law in Maryland, fell short following a bizarre turn of events, Smith won plaudits for how he promoted the legislation and his magnanimous reaction after its defeat. There’s recent precedent in Maryland for military heroes enjoying political rocket rides (see Brown, Anthony). With only 15 members compared to the Democrats’ 32, GOP senators are destined to be outgunned on most controversial issues. But this group of senators, led by Minority Leader J.B. Jennings (R-Harford and Baltimore) and Minority Whip Steven S. Hershey Jr. (R-Upper Shore), is smart and strategic. Jennings and Hershey have an outsized influence on the Finance Committee, and Hershey is a particularly articulate debater on the Senate floor. Others who are highly effective, on the floor, in their committees, or both: Sens. Michael Hough (R-Frederick), Adelaide C. Eckhardt (R-Middle Shore), Justin Ready (R-Carroll), Christopher West (R-Baltimore County) and Robert Cassilly (R-Harford) — though Cassilly surely takes the prize as the most loquacious member of the Senate. Dynamic young freshman with powerful allies in both legislative chambers won a coveted perch on the Budget and Taxation Committee and passed a variety of important bills, including stronger oversight of the University System of Maryland Board of Regents, creating a legal fund for Title IX proceedings, recognizing press freedoms, and more money for her home city of Annapolis for playing host to the state government. Don’t mess with the Big Dog. The former University System of Maryland chancellor probably never imagined the level of commitment that would be required of him when he agreed to head a commission on improving and funding Maryland schools. This session, legislation moved to bring some of the commission’s initial recommendations to fruition — and more will follow. And Kirwan at least was able to literally take a bow in the state Senate recently. The Odd Couple of the House — he’s one of the most liberal members and she’s one of the most conservative — persisted in convincing House leaders to begin airing live video of floor proceedings next year. Get the popcorn ready! Got her chance to shine as the House floor manager for the Clean Energy Jobs Act, turning back barbed questions and poison pill amendments from Republicans with wisdom and aplomb. Also distinguished herself as a tough questioner and skeptic of all the industries that are often used to holding sway in the Economic Matters Committee. There may not be a more forceful spokesperson in the General Assembly for working men and women and for struggling Baltimore City communities. Finally saw many of their top legislative priorities enacted — though they had to distance themselves from their traditional champion, Comptroller Peter V.R. Franchot (D), to get there. They were all in Annapolis regularly — Angela D. Alsobrooks of Prince George’s; Calvin Ball of Howard; Marc B. Elrich of Montgomery; John A. “Johnny O” Olszewski of Baltimore; and Steuart Pittman of Anne Arundel — pushing for more education funding, for a higher minimum wage, for local priorities. And all did pretty well. Prince George’s got authorization to launch school construction projects using public-private partnerships, Ball saw flood protection legislation passed, Pittman got authorization to seek limits on developer contributions in his county, and so on — and they all got pretty robust allocations of school construction funding. Anyone who can explain the state’s updated prescription drug benefit plan for retirees as cogently as she did on the Senate floor deserves a spot on the winners’ list. Effective proponent for education spending in the Ways and Means Committee and on the House floor who gave an impassioned and noteworthy plea to pass aid-in-dying legislation. He now faces the important (and unenviable) task of keeping the House Democratic Caucus together as lawmakers consider who to select as the next speaker — and when and how to do it. Of all the expressions of grief over Busch’s death, few were more heartfelt — or more illustrative of the speaker’s persona and appeal — than Kipke’s. And Kipke has benefited from his friendship with Busch to become an effective leader. Make no mistake, Kipke is a strong conservative, yet he does a good job of moderating his conservative caucus’ most extreme instincts — instincts that cost his GOP colleagues influence in a liberal chamber. That skill will serve him well as he charts his political course. But it will be interesting to see how he functions with someone he isn’t as close to personally as speaker. She fulfilled her No. 1 campaign pledge, to win help for flood-ravaged Ellicott City, and navigated the liberal legislative agenda with great skill for someone who represents a fairly conservative district. Launching a small business work group was a politically smart idea. Pimlico Race Course lives to fight another day thanks in part to his work, which included exposing poor working and living conditions at Laurel Park racetrack. Credit for keeping Pimlico in the game also goes to Sen. Bill Ferguson (D-Baltimore City) and two Baltimore-based political wiseguys, lobbyist Sean Malone and communications guru Steve Kearney. She put together a slew of legislative victories, including a statewide ban on polystyrene food packaging — the first of its kind in the nation — enhanced 911 systems, more oversight of the Maryland Technology Economic Development Corporation, and some election reform bills. Brad Rifkin, whose dad Alan M. Rifkin founded one of the most formidable lobbying shops in town, had a breakout session, working with the craft brewers (see above) and on multiple issues related to the cannabis industry. Jamie DeMarco with the Citizens Climate Lobby, son of the legendary Vincent DeMarco, was one of several lobbyists pushing hard to get the Clean Energy Jobs Act through. The firm Gally Public Affairs successfully worked bills to ban tanning bed use for minors, raise the age to purchase tobacco products to 21, strengthen forest conservation, create oyster sanctuaries, and make behavioral health laws more humane. The firm Public Policy Partners passed bills to bolster Planned Parenthood and school-based health care programs and worked to eliminate the Handgun Permit Review Board. Leonard Lucchi, a fixture in Maryland politics for decades, worked on the $15-an-hour minimum wage bill, college affordability, expansion of electric vehicle tax credits, and prescription drug affordability, among other measures. Patton has worn so many political hats during his relatively short career and has so many contacts in state government that it’s easy to forget what his day job is: He’s vice president for public affairs at the Maryland Broadband Cooperative. This session, while the governor’s capital budget proposed a $10 million allocation to the cooperative, the Department of Legislative Services recommended zeroing it out. Patton worked behind the scenes and when the ink dried on the final capital budget, the $10 million was preserved. The cutthroat world of State House lobbying is forever growing, changing and becoming more remunerative. Last year, a bunch of lobbyists who had mostly worked at the venerable firm Alexander & Cleaver struck out on their own, and they had a pretty good first session: They were the lead lobbying firm for the renewable energy industry on the Clean Energy Jobs Act, they helped take a death with dignity bill farther than it’s ever gone, and working for the trial lawyers, they negotiated a deal with representatives for doctors and hospitals — brokered by Busch — designed to end a decadeslong fight over medical malpractice expert witness testimony. It’s not that easy being green, even in blue Maryland, but environmental groups fought to get the Clean Energy Jobs Act passed, and also won on the polystyrene ban, oyster restoration and forest preservation. On CEJA in particularly, their persistence, bordering on pestering, was noteworthy (and ultimately effective). But then, it was never altogether clear why there was resistance to the bill among some leading Democrats anyway. She may not win any warm and fuzzy awards, but she sure shook up the establishment with her bill targeting self-dealing at the University of Maryland Medical System board of directors. The legislation sparked a media sensation and compelled legislative leaders to come along. That’s power. What’s old is new again. We sure heard this phrase an awful lot during the 2019 session. Can’t get enough of them. Keep ‘em coming. It’s hard to imagine a politician having a worse few weeks. She started the legislative session proudly bringing her popular new police commissioner around Annapolis to introduce him to the city’s delegation and other key lawmakers. And she aggressively put out the call to the legislature to help boost Pimlico Race Course and the surrounding neighborhood — though it turned out she didn’t have much of a strategy for that. And then “Healthy Holly” and related scandals surfaced. Now she’s persona non grata in Annapolis and at home. Even in this age of shameless politicians weathering scandals, it’s hard to see how she survives. The boss from hell, according to a report of the Joint Committee on Legislative Ethics. But after five years of reported bad behavior, why did it take legislative officials so long to issue a report and mete out any punishment? Why couldn’t any credible Democratic leader find someone legitimate to challenge Jalisi in last year’s primary? What can this guy possibly do to redeem himself? Lawmakers “take a walk” to avoid tough votes all the time. Patterson kept his seat — and avoided a tough vote anyway, freezing when he couldn’t decide whether he wanted to support or oppose the medical aid-in-dying legislation. Will there be consequences? The gravy train has derailed. 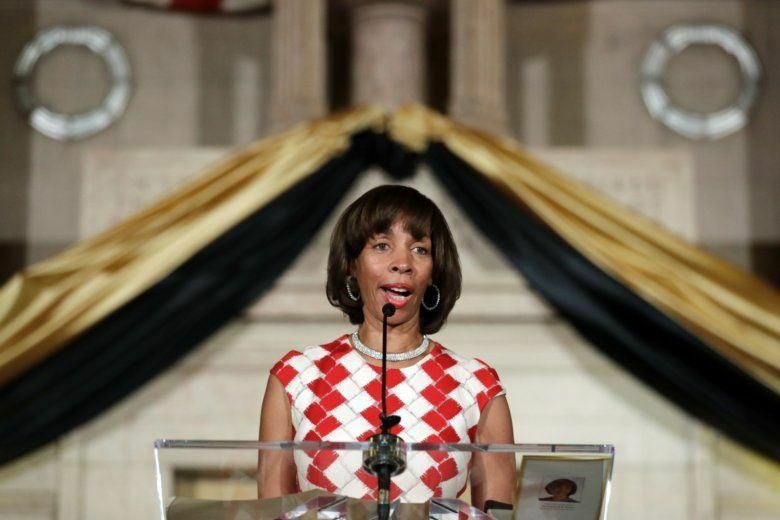 Pugh, at least, looks like she’s in serious legal jeopardy. Long overdue structural reform is coming. And now every state board and commission like it is going to come in for some unwanted scrutiny. The quasi-state agency that’s supposed to promote high tech businesses in Maryland is dinged by a legislative audit for not doing enough to help in-state businesses, then hires an out-of-state PR firm — owned by Washington, D.C., super lawyer Lanny J. Davis, no less — to clean up the mess. Reforms passed by the legislature may help the agency regain its focus. The most heavily-lobbied bill this legislation session — or at least the one that brought out the biggest guns — would have changed the way the state’s biggest electric utilities are allowed to calculate their requests for rate increases. 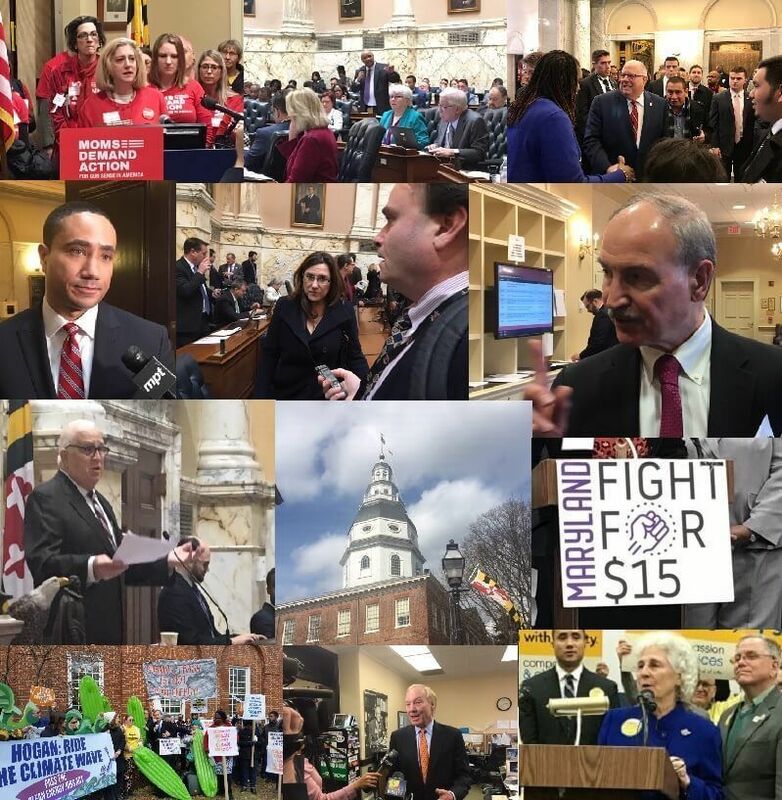 The bill was moving along stealthily, with just about every all-star lobbyist in Annapolis working for it, and two powerful sponsors. But then the Public Service Commission came out in opposition, the attorney general’s office said it wasn’t necessary, and the editorial boards of The Baltimore Sun and The Washington Post expressed skepticism. Now the utilities will have to wait another year. True, two of the caucus’ top legislative priorities — raising the minimum wage to $15 an hour and raising the age to purchase tobacco products to 21 — passed. But those were global issues with plenty of advocates. On its own unique priorities, the caucus didn’t do so well. After weeks of brave talk, the LBC could not find someone to challenge Treasurer Nancy K. Kopp during her reelection vote, and by the time one of their own, Del. Benjamin Brooks (D-Baltimore County), finally did decide to run, he had missed the deadline. The caucus did not move the needle on extra funding for historically black colleges and universities. And for all its understandable fury over the Lisanti incident, the LBC could not prevail on her to leave or succeed in strengthening her punishment. Now, with the speaker’s chair to fill, there are real questions about whether the caucus will coalesce or fracture. United, it’s one of the most powerful voting blocs in the legislature. Divided, not so much. Franchot’s advisers will spin it a thousand ways to Sunday, but there’s no sugarcoating the fact that he just lost a significant chunk of his portfolio for a second straight year due to legislative pique. No raging against the machine or trying to make this about something bigger, like the rot eating away at Annapolis, is going to mask that reality. Were legislative leaders being petty and punitive? Sure. But they were egged on mercilessly, again and again and again, not just by Franchot, but by all his talented young staffers, who seem to think this, of all things — when there’s a madman in the White House, when there are children living in cages on the southern border, when climate change is an existential threat — is the hill to die on. Losing a pure power play, however ugly, doesn’t always give you the moral high ground. Luckily for them, there’s the endless bounty of social media exposure — and more Board of Public Works meetings at which Franchot can hold forth. Her performance on the Senate floor, during debate over Johns Hopkins University’s proposal to establish a private police force, was bumbling and occasionally embarrassing. She lost copies of amendments she was about to propose, then found them. She blamed staff for poorly-drafted legislative language. And of course, her ultimate goal, of defeating the legislation, fell flat. But Washington raised several important points and got some accountability measures placed into the final product. She raised her profile around town and endeared herself to progressive activists. In 2018, Washington defeated someone with much more institutional power than she had — then-Senate Education, Health and Environmental Affairs Chair Joan Carter Conway (D). And now Washington may be quietly accruing power of her own. Will she run for mayor of Baltimore in 2020? Stay tuned. Lawmakers this session kept looking for magic financial elixirs for their pie-in-the-sky programs: Legalized marijuana! Sports gaming! But efforts to get those off the ground went nowhere, and Maryland may be falling behind neighboring states. The legislature did, however, figure out how to tax “marketplace facilitators” like Wayfair, and that will generate some needed revenue. Teachers brought out thousands of supporters on a warm Monday evening to rally for extra school funding. But in general, protest groups were hampered by the fact that their normal staging ground, Lawyers Mall, right across the street from the State House and adjacent to the governor’s mansion, is under construction and will be for at least another year. She passed one of her top bills — giving the Ocean City convention center extra financing capacity to fund expansion and renovation. But its fate was in doubt until the final day of session. That’s the kind of bill that the man she defeated, former state Sen. James N. Mathias (D), would have passed with ease. Even if Carozza is more in sync with her district philosophically, she may not be able to deliver in a Democratic legislative chamber the way Mathias did (see Myers, LeRoy). Promoting tourist railroads? The Senate made accommodations for Mathias that it would not for Carozza. Regional relief from the new minimum wage? Senators might have considered it to protect Mathias. Language in the clean energy bill to push wind turbines farther off the Ocean City shore? Carozza didn’t even suggest it. Carozza is a smart and savvy lawmaker, but she has not been dealt a good hand. It’s been said a million times: Elections have consequences. Hogan topped our winners list for the past two sessions. This time, things felt different. When his office on Tuesday put out a list of nine measures he had championed that passed through the legislature, including expanding state opportunity zones, extending the electric vehicle tax credit to cars powered by fuel cells, and a study gauging the impact of new regulations on small businesses, it was a little surprising that there were so many items on it. Hogan has made it clear that the General Assembly session is his least favorite 90 days of the year, and he often takes a hands-off approach during session except at strategic moments. But this year he has seemed like a nonfactor — disengaged and distracted by whatever national political ambitions he may possess, and largely disregarded by the legislature. Democrats have held supermajorities throughout Hogan’s tenure, but during his first term they were always thinking about him — how to deal with him, how to make him look bad, how to thwart his reelection. This year, other than attending Hogan’s well-scripted inaugural and his State of the State address, they did their own thing as if the governor didn’t exist. As for Hogan himself, there’s value in traipsing to Iowa and New Hampshire. And look at it from his point of view: Which would he rather do, hang out with George F. Will and John Harwood and Chris Christie, or fend off rhetorical grenades from the likes of Bill Ferguson and Del. Kirill Reznik (D-Montgomery)? Maybe now that the session’s over, Hogan will re-engage. This analysis was written by Josh Kurtz. Bruce DePuyt and Danielle E. Gaines contributed.